This article was brought to you by Game of the People as part of The Away End. Edited by Neil Jensen, Game of the People flies the flag for football as it should be played with insight and stories on football news, analysis, culture, business and history. In the 1980s, a television series called The Thirties highlighted a turbulent and exciting decade. An entire chapter was devoted, quite simply, to “The Arsenal”. The 1930s was the age of the Gunners, a time that the club has strived to replicate ever since. Arsenal were as 1930s as Crittall Windows, British dance bands, mock-Tudor housing and Bakelite. They were thoroughly modern in every way, from the Art Deco grandstands erected at Highbury Stadium to their redesigned geometric club crest. If ever a club reflected the zeitgeist, it was Arsenal between 1930 and 1938. They stood astride the entire period: 1930 – FA Cup winners; 1931 – League Champions; 1932 – League runners-up and FA Cup runners-up; 1933 – League Champions; 1934 – League Champions; 1935 – League Champions; 1936 – FA Cup winners; 1938 – League Champions. No other club was as consistent, as innovative or as dynamic as Arsenal in the 1930s. Only Liverpool in the mid-1970s to late 1980s and Manchester United in the 1990s can claim to have been as all-conquering. Of course, much of Arsenal’s dominance can be attributed to Herbert Chapman. From ground-breaking tactics to publicity stunts, Chapman and his entourage changed the face of English football. He actually had a superb track record when he arrived at Arsenal in 1925, having won two league titles with Huddersfield. Arsenal, who had struggled against relegation in the two previous seasons, had advertised for a new manager and Chapman, attracted by a lucrative salary and the prospect of larger crowds than those enjoyed at Huddersfield, applied. Chapman was one of the first managers to put results ahead of performance, although he later bemoaned the fact that a team didn’t have to play well to get results. His approach was meticulous and, certainly in Britain, ground-breaking. He was not the inventor of the WM formation, but he was certainly the most successful exponent of such tactics. But the key to Arsenal’s success lay with one player – Alex James. In his first season, Chapman took Arsenal to a best-ever second place, behind his old club. But he soldiered on for some four years before signing James in 1929 from Preston. With his long baggy shorts and shuffling gait, James cut a Chaplinesque figure, but he became something of a household name in the 1930s, a rarity for a footballer in the movie star era. 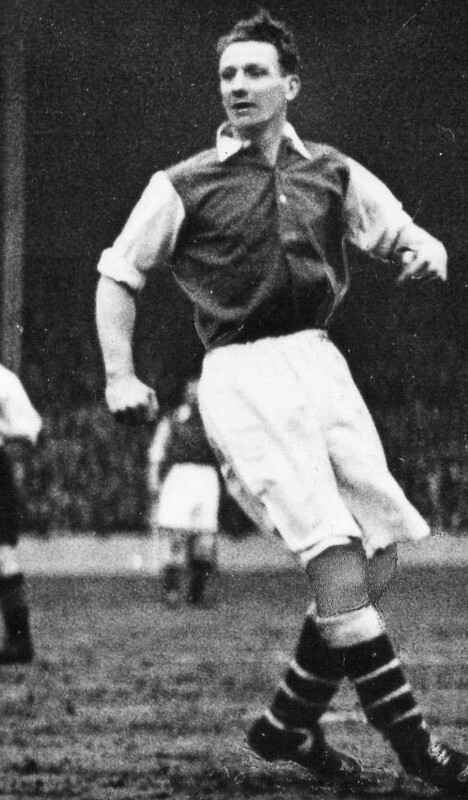 He played quite deep and had the vision to create opportunities for the Gunners’ front men – a long list of forwards in the 1930s benefitted from the rheumatic Scot’s slide-rule passing ability. The WM formation was more defence-minded than the traditional 2-3-5 that had shaped the early professional game. Chapman identified the need for a “third back”, who eventually became what we all now call the “centre back”. The two full backs were assigned the role of marking wingers and the centre back looked after the centre forward. The half backs policed the inside forwards. In effect, 2-3-5 had become 3-2-2-3. While James would provide the guile and craft, Chapman also recognised the need for “horses for courses”. That’s why a fundamental talent such as Herbie Roberts – an old fashioned stopper – became so instrumental in the Arsenal story. 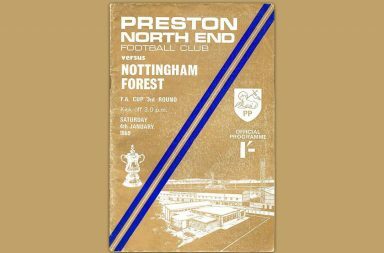 Legendary journalist Don Davies captured this ethos perfectly: “Was there ever a team where the players were more strikingly suited to the parts they had to play?” Chapman’s formula worked spectacularly and was much-copied, but nobody had the depth of resources to make it work on a sustained basis. As promised by Chapman, it took five years to win silverware. The first signs of real success at Highbury came in 1929-30 when the club won the FA Cup for the first time. Over the next three seasons, Arsenal dominated football and in 1932, went close to winning the double, finishing runners-up in both major competitions. 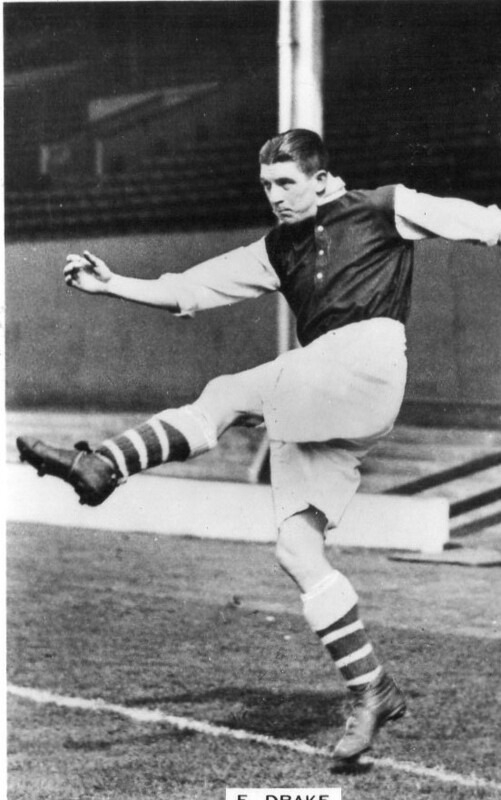 In January 1934, Chapman died, midway through a hat-trick of league titles for the Gunners. The club, stunned by his sudden and unexpected demise, still won the league championship in 1933-34 and appointed the club’s press officer, George Allison, as Chapman’s successor. If Chapman was the first of his kind, so too, was Allison. He was no tactician, almost certainly he never professed to being a football coach of any kind. But as a former journalist, he had the knack of keeping Arsenal in the eye of the public. When you consider some of the stunts that Chapman pulled off – the renaming of Gillespie Road underground station to “Arsenal” and the innovative white-sleeved playing kit, it may be that Allison was the power behind the Emperor’s throne. Allison was one of the first “kings of spin”, so who better to ensure the dynasty continued? He also had players and coaches to back him up – Tom Whittaker, Alex James and Joe Shaw to name but three. Wisely, Allison didn’t take over officially until the start of 1934-35, by which time, Arsenal had regained their title and were poised for a third successive triumph. Although the Gunners were far from being a spent force in 1934-35 for the next year or so, there were signs that the system and the players that had made the club almost infallible, was starting to creak. Much revolved around the likes of James, Roberts and one or two others. History has demonstrated that all great football teams have a problem with succession – fitness, age, motivation, over-familiarity all playing their part – and Arsenal found that out in the second half of the decade. 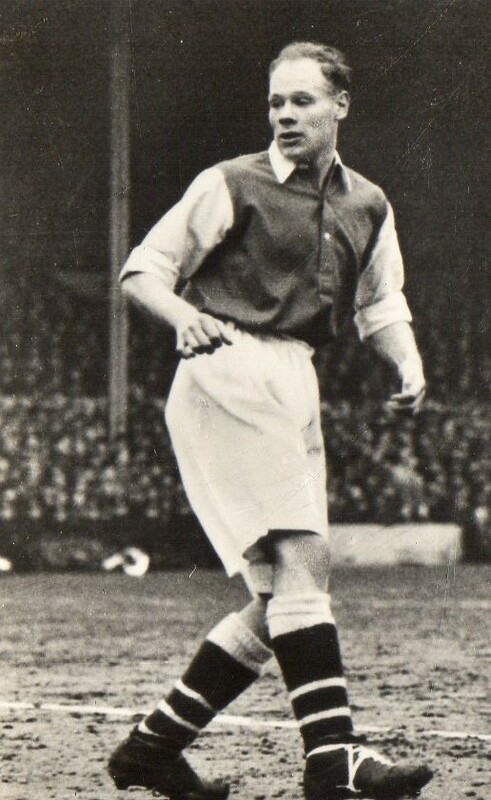 With David Jack moving on, Arsenal had signed a replacement for the talented forward in Ted Drake, who joined the club from Southampton in the latter stages of 1933-34 for £ 6,500. Other new faces such as Jack Crayston and Wilf Copping also arrived. Cliff Bastin, George Male, James and Roberts were still there, as was goalkeeper Frank Moss. James, however, had started to become injury prone. Arsenal started well, and were unbeaten in their first five games, including an 8-1 victory against Portsmouth. Drake, who scored three times in that game, proved to be a great success and netted seven hat-tricks among his 42 league goals. But Arsenal struggled away from home in the first half of the season. It wasn’t until late November (at Chelsea) that they secured a victory, although by the end of the campaign, they had the best travelling record. Sunderland and Manchester City made the running with Arsenal for most of the season. Sunderland, a free-scoring team that included the likes of Raich Carter, Bob Gurney and Patsy Gallacher, inflicted upon Arsenal their second defeat of the season in October. The Gunners could not shake-off Sunderland and by Christmas, the North-East side were top of the table with Arsenal in third position, although only a point behind. While Stoke City also had their moments, it was definitely Sunderland who offered the stiffest challenge to Arsenal’s title. Arsenal managed to make some changes in mid-season to reinforce and revitalise their bid. In January 1935, Taffy Rogers arrived from Wrexham, a few weeks later, Bobby Davidson joined from St. Johnstone, and in March, Alf Kirchen was signed from Norwich City. All would make a contribution in the run-in. When Arsenal and Sunderland met at Highbury on March 9, a crowd of 73,295 saw a tight 0-0 draw. Arsenal were on top by two points, but both Sunderland and Manchester City were closing in. With five games to go, Arsenal trounced Middlesbrough 8-0 (another four for Drake) to lead by three points. And when they won at Middlesbrough on April 22 by a single goal, Drake again the matchwinner, they opened-up a five point gap with two games remaining. They cemented their championship win with a 5-3 victory at Leicester. Sunderland finished runners-up and Sheffield Wednesday came up on the outside to leapfrog Manchester City. Success was merited, but Arsenal had been pushed all the way. Over the next two years, it became clear that although the Gunners were still the team everyone wanted to beat, they were no longer the best around. They won the FA Cup in 1936, but slipped to sixth in the league, their lowest placing since 1930. When they next won the title in 1938, it was with just 52 points and one point more than Wolves. As war approached, they ended the decade in fifth place. The era of Arsenal was effectively over. It would be many years before the club would enjoy comparable pre-eminence. A visit to Highbury was always a joy. If you ever got the chance to walk through the marble hall and admire the Art Deco architecture, it just oozed class and a bygone age. It’s good to see that the old art deco stands remains in some form, Highbury is one of the icons of football architecture. Game of the People is written by Neil Jensen, an experienced corporate writer and football journalist. 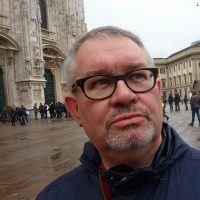 Neil is a columnist with the non-league paper and a widely recognised financial writer. Game of the People (www.gameofthepeople.com) has been running for four years and continues to grow, attracting readers from all over the world. Neil is also CEO of Isherwood Editorial, a creative agency specialising in football, financial technology and travel.